What's this? 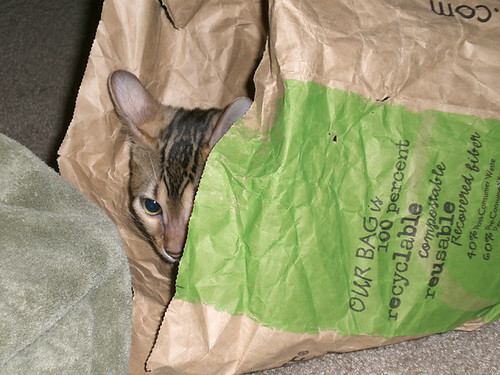 A wild bag kitty?! There go the ears. It's battle time. 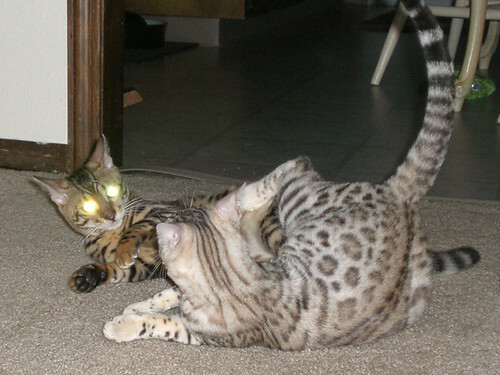 Followed by Mika's laser eyes. Is an electric attack to follow? No. Somehow this devolves into lazy kitty pawing/kicking/cuddles. Not exactly the most epic of battles. 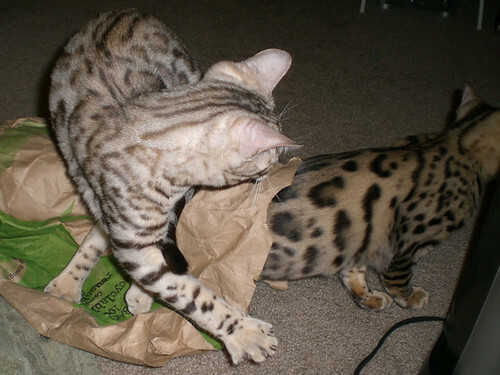 Paper bags are the best toys. What came in them is never as fun. 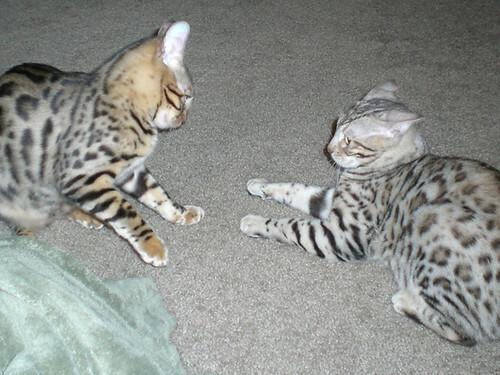 What sweet kitties....beautiful markings! 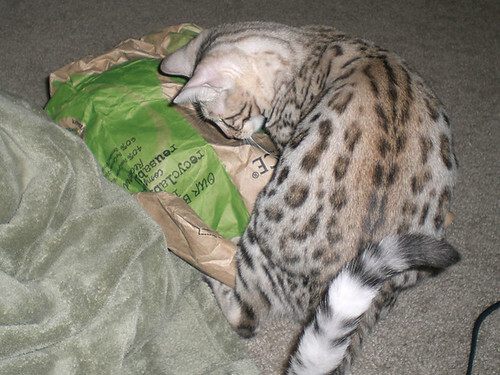 My cat is like a bull in a china shop. 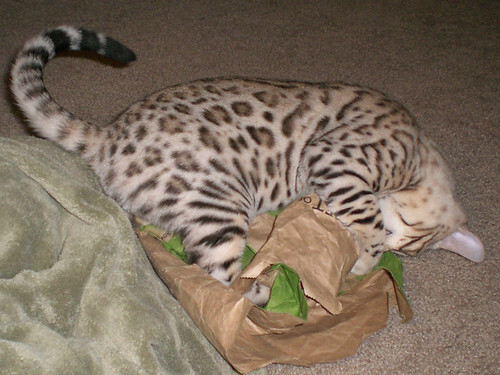 He rips right through a heavy paper bag in less than a minute. 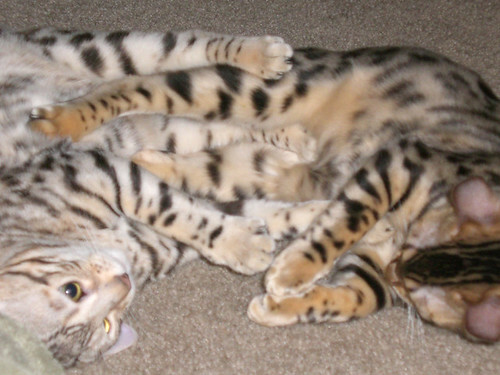 I don't think bengals ever outgrow their kitten mentality...love your photos.